When that second little line doesn’t show up it can be heartbreaking. In this post, I share some of my strategies for coping with what can be a disappointing and discouraging moment. Ahh, the home pregnancy test. When I stop to look at it, this small medical marvel is as iconic to my own womanhood as lipstick or moon pads. I can’t possibly count how many tests I have taken throughout my life, but my expectations and reactions to the results of those tests clearly mark out the eras of past. I may not remember every test, but I remember how I felt about my whole life when I dig up the emotions revealed in that single moment of truth. We go a long way back, pregnancy tests and I. When I was a very young woman I had an intense fear of becoming pregnant. My best friend used to tease me about how often I’d show up at her place with a look of panic and a brand new e.p.t®. It was often during one of these scares that I would finally decide to kick some Romeo or another to the curb. I figured if having his baby felt like such a disaster maybe he wasn’t actually worth bothering with at all. Many years later I had the first pregnancy scare with a rather scruffy looking guitar playing landscaper named Scott. My reaction to that test definitely marked the end of an era and the beginning of a whole new chapter in my life. For the first time, I felt something other than panicked relief. I wouldn’t quite say that I was disappointed about not being pregnant, but I thought to myself, “you know, having HIS baby really wouldn’t be so bad. Maybe I’d even like that… one day.” That kind of blew my mind, so I married the guy. My scruffy landscaper holding his niece several years before CC was born. It took a long time (compared to some of my friends, at least) before Scott and I felt like we were ready to start a family. When it was finally time, I spent six months off of birth control before we started trying in earnest. I was sad to see my tests coming up negative back then, but I’d been told not to worry about it for at least a year. So I hung in there, trying not to freak myself out too much, but by the time we’d been trying for a year the negative tests were becoming harder and harder to see every month. The following years were very hard for us. We tried everything we could think of to get pregnant. We tried charting, taking temperatures, testing for ovulation, eating better, trying harder, and not trying at all. In the end, it took us about two years before seeing a fertility specialist. The moments of truth during those two years were almost always marked with tears. I was so scared that I wouldn’t be able to have a baby that I almost couldn’t bear to go and find out whether or not I could. But go I did, and within a few short months (we were really lucky) the treatments worked and I experienced the greatest moment of truth I thought possible, the moment when you finally see that second line appear on the stick. That moment of truth was peppered with butterflies, palpitations, and yes, more tears. We ended up having a beautiful baby, and of course, wanted to have more! CC is about 2 1/2 now and we’ve been trying to have a second child for about 18 months now. Sadly, this second try hasn’t turned out to be as simple as our first – which is saying a lot. We’ve had two losses with countless negative tests in between and after both. It’s been a long, hard era for my moment of truth, and now when I see a negative test I am filled with a mixture of feelings I never expected: disappointment, of course, since I WAS trying to get pregnant, sadness as I think of my two little sparks that didn’t hang on, and relief because as much as I want to get pregnant again, I’m also scared. So, sufficed to say, I have more than a little experience when it comes to coping with that dreaded negative test result. The following tips are my gift to you, fellow mamas. No matter what else, always remember that there are many roads to becoming a mother. We may not all follow the same path or end up in the same place, but as soon as you feel that spark of love in your heart that sets you on this path to finding your baby, you are a mama, and you always will be. Let Yourself Mourn – Seeing a negative test can really hurt, especially if you are feeling pressured by age, fertility issues, or other circumstances. Be kind to yourself and allow yourself to acknowledge that the pain you are feeling is real and valid and justified. Cry it Out – If you feel like crying, you go ahead and have yourself a good sob session. Sometimes it’s the only way to process something so hugely emotional. Don’t Panic – It is easy to jump to the worst conclusion first. Whether this is your first month trying or your umpteenth, do your best to keep your head in a logical place. If you have a plan and a timeline worked out for getting pregnant, lean on that plan and take heart in the fact that even if this month didn’t go your way, you know what to do next and you are going to do it. Regroup – After you’ve collected yourself and have recovered a little from the emotional blow, take a moment to examine where you are on your baby journey. Is it time to make a plan? Time to get yourself pumped up for the next month of trying? Time to take a break? Only you know where you are at and what you need. The beginning of your cycle is a great time to ask yourself. Lean on Loved Ones – It isn’t unusual to feel isolated or alone while you are trying to get pregnant. It’s an intensely personal thing and not everyone in your life will be able to relate, but that doesn’t mean that they don’t care or don’t want to be there for you. Keeping some key people, like your spouse, a sister, or a best friend, in the loop can help you feel supported. If you don’t have anyone in real life, try reaching out to bloggers who write about what you are going through, or even start a blog of your own. Take a Day Off – It can be really helpful to check out once in a while, and the first days of your cycle are an ideal time in terms of trying to conceive. Go out, stay up late, have a beer (or two). Whatever relaxation looks like to you, make some time to make it happen. You don’t have to think about baby-making every day of the month, after all. Have Faith – This is the hardest thing for me to do sometimes, but probably the most important. I can’t offer much detail on how to go about acquiring something so inherently intangible, but I can tell you that this skill will remain integral to you as a mother, both before and after you ever get pregnant. Mothers are responsible for quite a lot, but so much is out of our hands! As far as picking which test to use when it’s time for your next moment of truth, the e.p.t® Home Pregnancy Test is a long trusted choice. The brand actually invented the home pregnancy test about 40 years ago. I can’t imagine quite what each era of my own womanhood would like without them, so I guess I owe the folks over at e.p.t® a cup of coffee – or at least my gratitude.I can’t imagine having to go visit a lab every month while trying to conceive. Or, just waiting around to see whether or not Aunt Flo will eventually show up? No thanks. The home pregnancy test is one modern convenience for which I am grateful. From a more practical standpoint, the e.p.t® Pregnancy Test is proven to be over 99.9% accurate from the date of your expected period. Being able to trust the results of your test, for better or worse, is another thing I find hugely important. 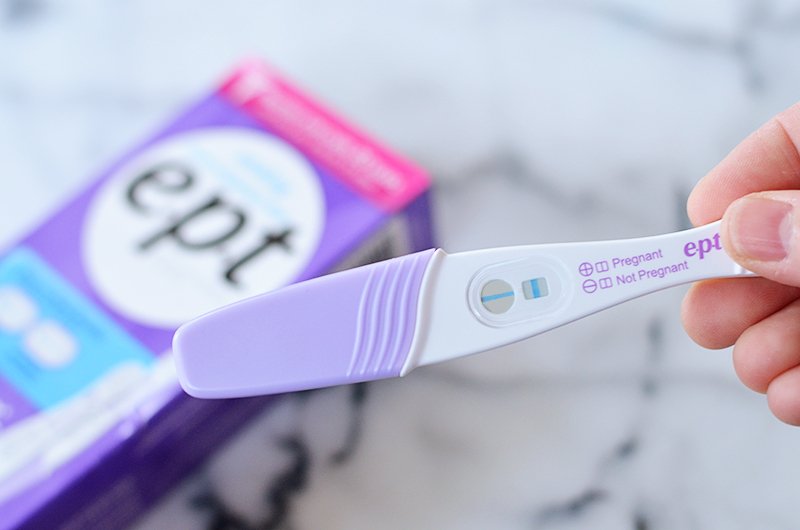 The original e.p.t® home pregnancy test has been used successfully by millions of women over the past forty years, so you can feel safe in counting on its reliability. Hey!!! 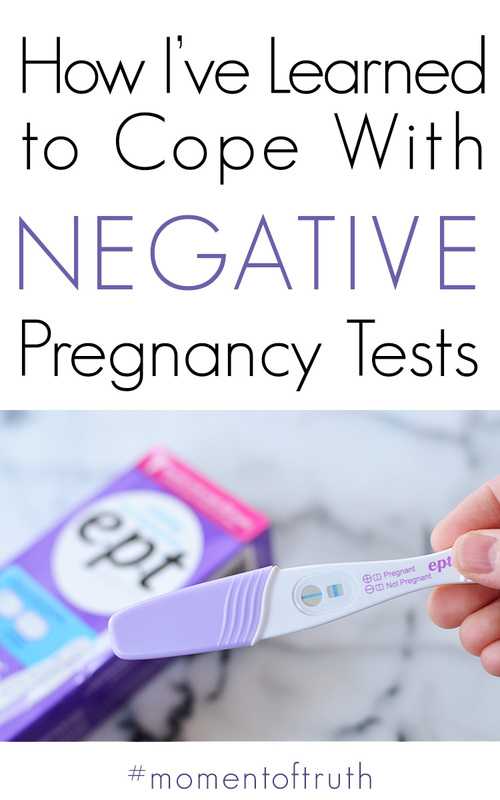 I completely understand taking the home pregnancy test and getting that negative result. I have had to face that twice. But i was surprised to know about ept having discovered this 40 years ago and now thats a lot of trust in the brand and speaks about them.